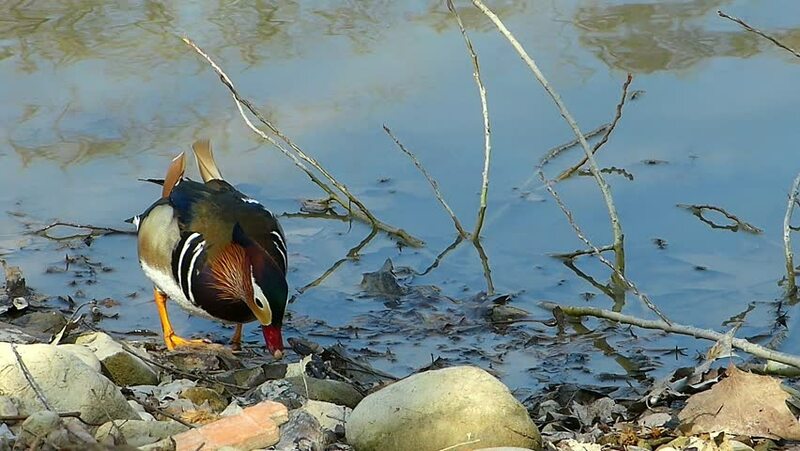 Mandarin Duck, on the banks of a pond. hd00:15NAPO, PERU - JULY 14, 2015: Crew of a cargo boat Arabela I transports a bull. sd02:08CIRCA 1950s - Arthur Godfrey talks about the plane Eddie Rickenbacker flew in World War One. hd00:16Active man gardener prunes and trims bushes . hd00:27Black and white birds. Three puppies of curl-crested jay (Cyanocorax cristatellus) notice the mother's approach. Brazilian Savannah scene.